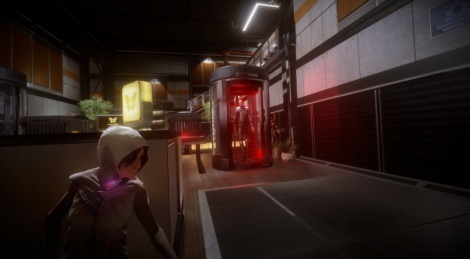 Available on iOS and Android at first, République was then adapted on PC last year. It is now available on PS4 and the game has come with its graphic facelift using Unity 5. Here are some videos showing the beginning of the adventure with Hope, the young woman that you are trying to help. I still remember what they said about making console experience on touch screen devices, and it appears to me that they failed. This looks quite interesting. I heard it was pretty well recieved with its original release too. but christ she has loud footsteps. Even when she's crouched you'd hear her coming a mile away. I still can't figure out if i want to pick this game or not. It seems equally interesting and shallow. Still, i might pick it up just for the curiosity and to reward the publisher and the software house for making a phisical version.